LPCover Lover | Catalonia! What makes your big heads so big? Catalonia! What makes your big heads so big? 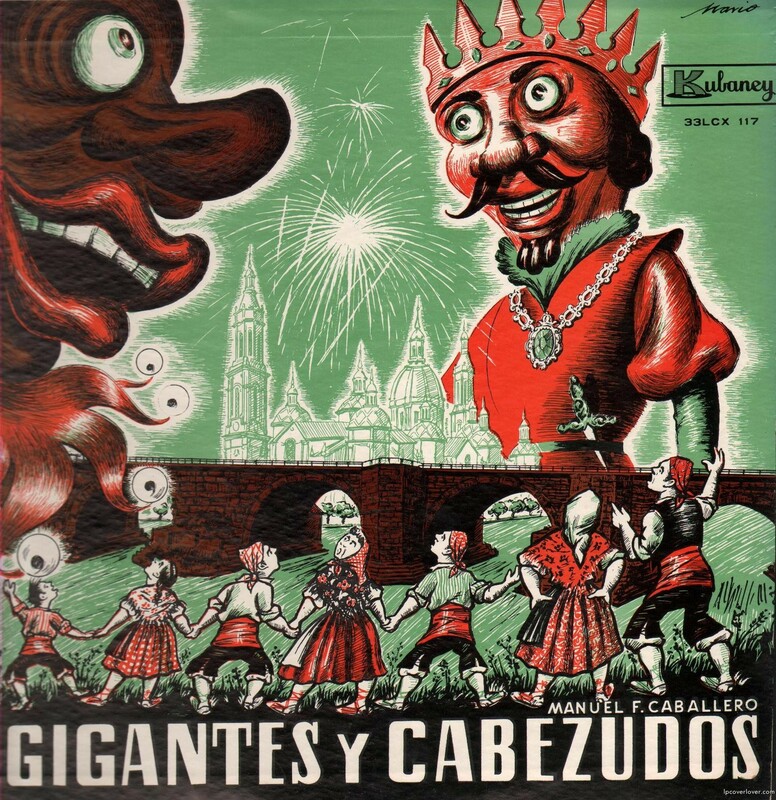 A rare one on the Kubaney label Manuel Caballero’s “Gigantes y Cabezudos” Many Spanish festivals include costumed figures known as gigantes y cabezudos, roughly, “Giants and Big-Heads” . 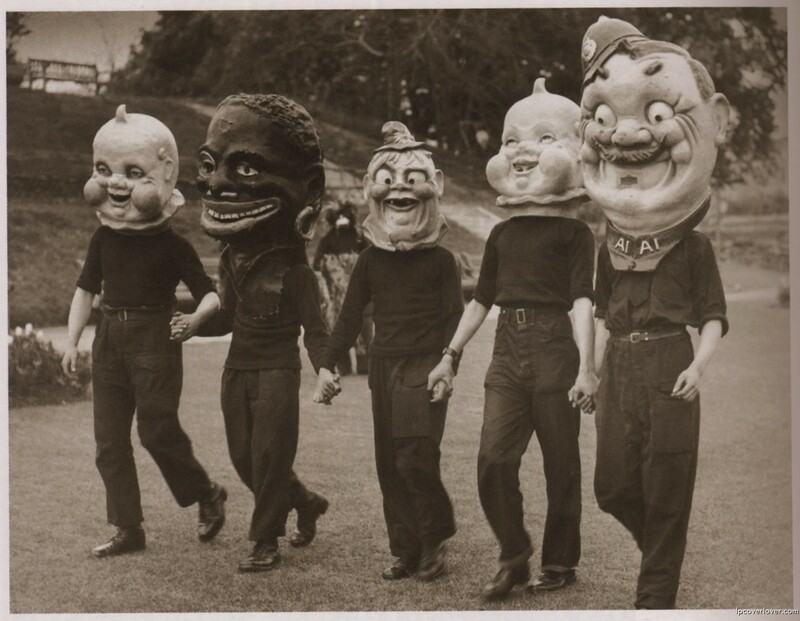 The main feature of these figures is typically their papier mache heads; bodies are covered in clothing matching the costume’s theme. These figures are particularly common in festivals of Basque Country or Catalonia, where many cities and towns have their own figures. FREAKY great cover. Great art work – like SOUL TRAIN with ALICE IN WONDERLAND? 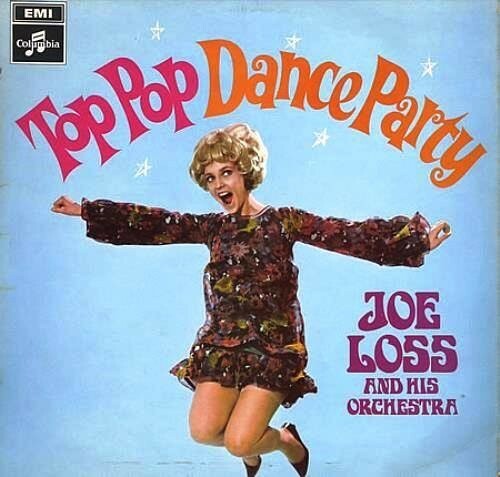 Right…kind of like an express train to krazytown! the “gigantes y cabezudos” are typical of a lot of places, not specially basquecountry or catalonia.Are very famous in Aragon, but Aragon is not famous. THis cover is from ZARAGOZA: la basílica del Pilar, the Ebro river,the Stone Bridge(el puente de Piedra) and people with traditional costumes from Zaragoza.